Trane selected Nuvation Energy to build a specialized energy storage system (ESS) for a wastewater treatment plant in the City of Santa Rosa, CA. The plant employs backup diesel generators as part of their demand charge management system. It can take a few minutes minutes for the diesel generators to get fully ramped up and online. Nuvation created an ESS that could be used for demand charge management and facilitate the seamless transition from the utility grid to the diesel gensets. To support the high power demand requirements of the treatment plant, the ESS can output 2 MW for 15 minutes. In addition to this unusual power requirement, the approved site was not large enough to support a standard 40-foot containerized ESS. So Nuvation worked with ESS container manufacturer Eco-H to build a compact 24-foot container. PCS integration and final testing before field deployment were performed at Parker Hannifin - Energy Grid-Tie Division in Charlotte, NC. 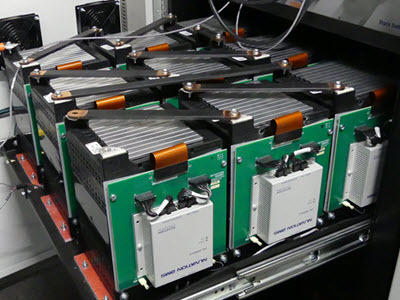 Check out this video to learn more about the 2 MW energy storage system we built. 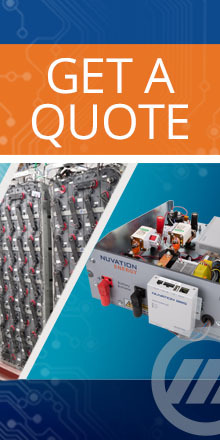 Nuvation Energy turnkey ESS design (racks, battery selection, pack & rack design, container, HVAC, fire suppression, PCS, etc.